By Dainis in Coding. Updated on May 8, 2018 . Internet users have wider choice of browsers when it comes to surfing the net. It is our responsibility as designers and developers to ensure that websites we’ve created are compatible for most of the commonly used browsers these days. That leads to a simple yet critical question – what browsers are our visitors using? According to w3school, commonly used browsers are Internet Explorer 7 & 8 and Firefox with Safari and Google Chrome gradually picking up. But the figures might vary from site to site, depending on its niche. It’s best to get the demographics from your site metrics, Google Analytics for instance. Once you’ve identified common browsers your visitors use, then it’s time to make sure website displays the same in these browsers. It’s almost impossible to install all different browsers in one machine. But thanks to some tools and web services out there, finding out how your website looks like in other browsers is possible. 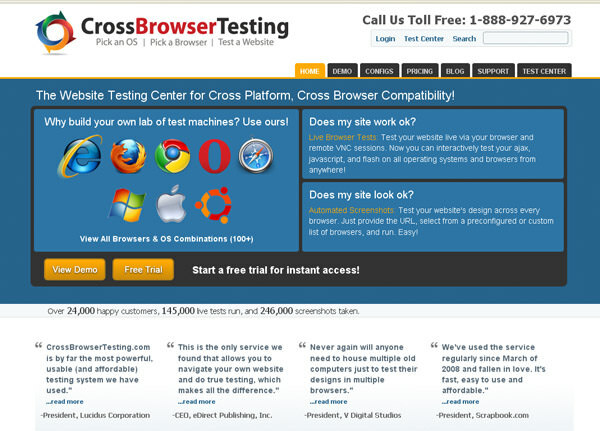 In this article, we want to bring to your attention some of the solutions you can depend on to do cross-browser compatibility testing. Full list after jump. 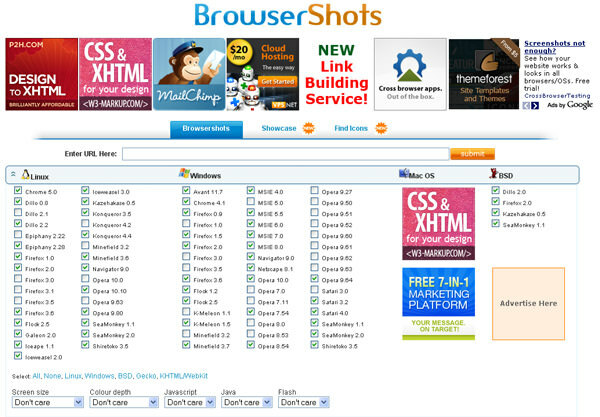 Browsershots is a free and most popular cross-platform multiple browsers compatibility test utility for web designers. Browsershots makes screenshots of your web design in different browsers. In Browsershots database are included all most popular browsers and you easily can check how your website looks in all browsers and OS platforms. 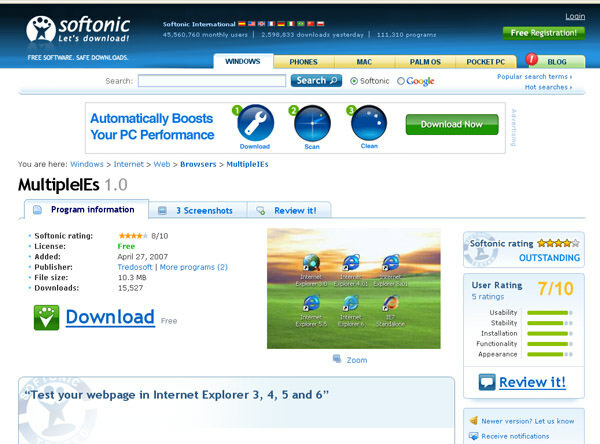 Created by Spoon.net, this page allows you run different browsers including IE, Firefox, Safari, Chrome and Opera right from your browser. Simple as that. 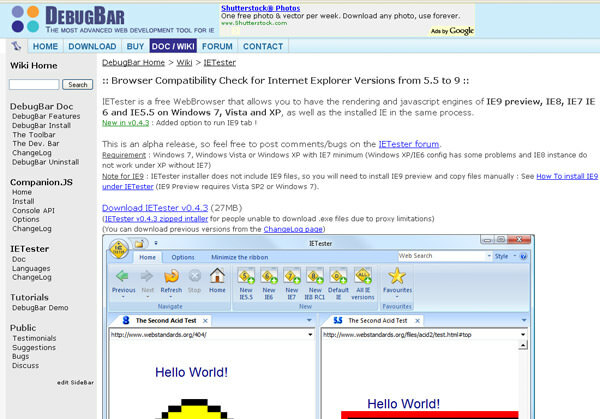 IE NetRenderer is free browsers compatibility tester. 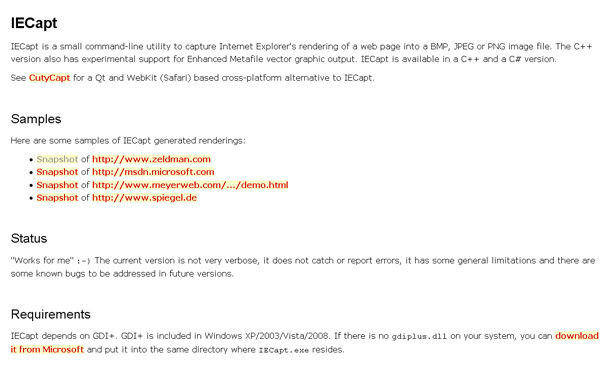 With IE NetRenderer you can check how a website is rendered by different versions of Internet Explorer. After beta testing, very soon in IE NetRenderer will be integrated newest version of IE – IE9 and you will be able to see does your website shows errors in this browser. 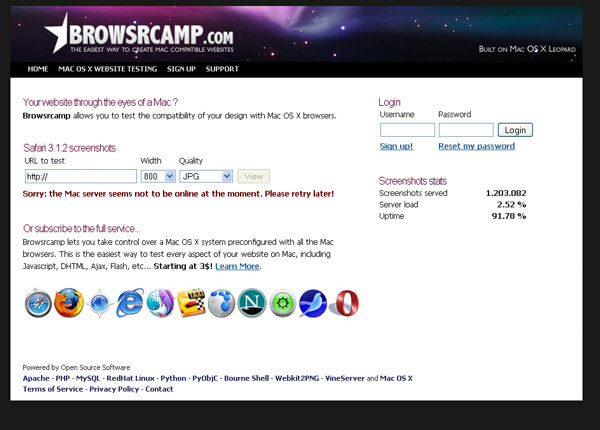 Browsrcamp allows you to test the compatibility of your design with Mac OS X browsers. If you dont want spend money you can check compatibility of your design with Safari 3.1.2. Simply add your website url and you will get your website screenshot. But if you want check compatibility with others Mac browsers, you can subscribe for 3$. 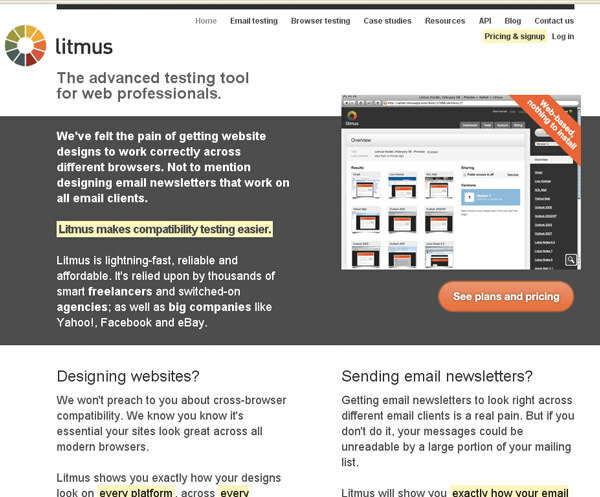 Litmus shows you screenshots of your websites as they look across all major web browsers. After you finished testing, you can get a full compatibility report ready for review by your clients. Litmus have 4 price plans. 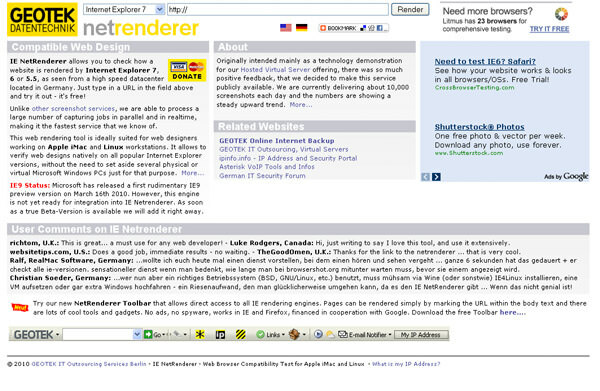 You can register for free and use only Explorer 7 and Firefox 2 browsers testings or you can choose charge plans. 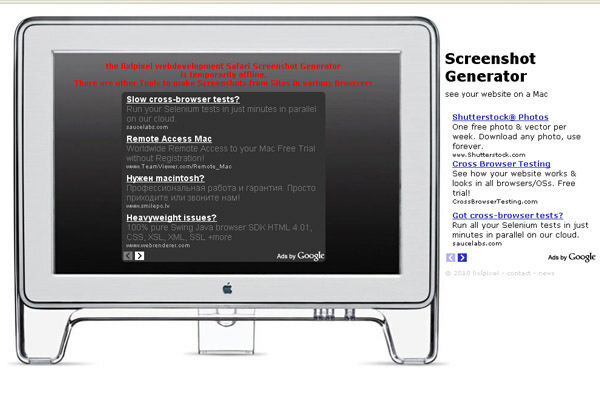 Anybrowser Site Viewer lets you see HTML pages as other browsers would, or in different screen sizes. You can move from link to link viewing pages as they’d appear in a variety of browsers and check for text-only purity. 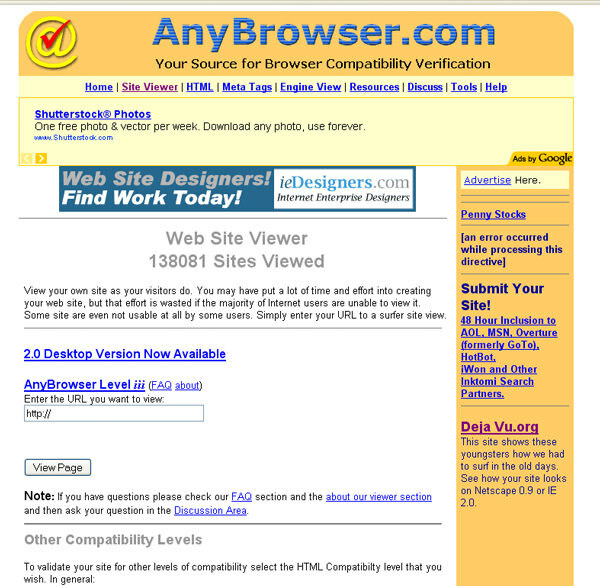 Also, the Anybrowser Site Viewer allows you to select specific page elements. 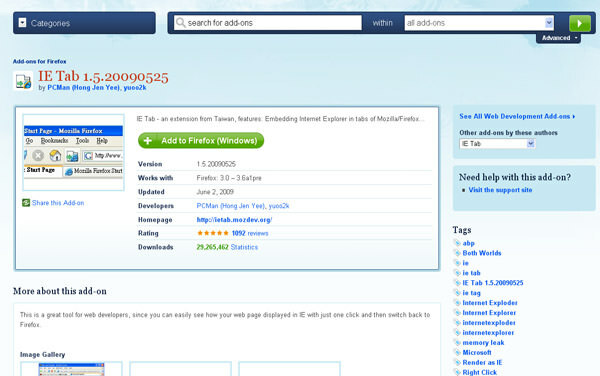 Fundisom is Mac screenshot generator that lets you see your site on a Macintosh G5 in Safari, MacIE or Mozilla. For now the lixlpixel web development Safari Screenshot Generator is temporarily offline, but you can check it later. Delorie lynxview is service that allows web authors to see what their pages will look like when viewed with Lynx, a text-mode web browser. 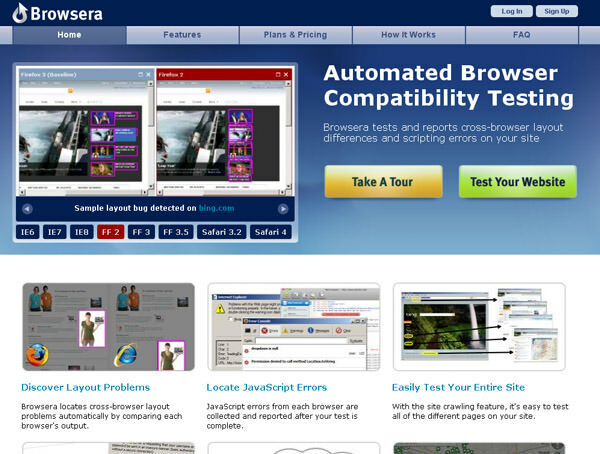 Browsera is meant to be used as a testing tool, not just a screenshot tool, and works at the site-level instead of the page level. 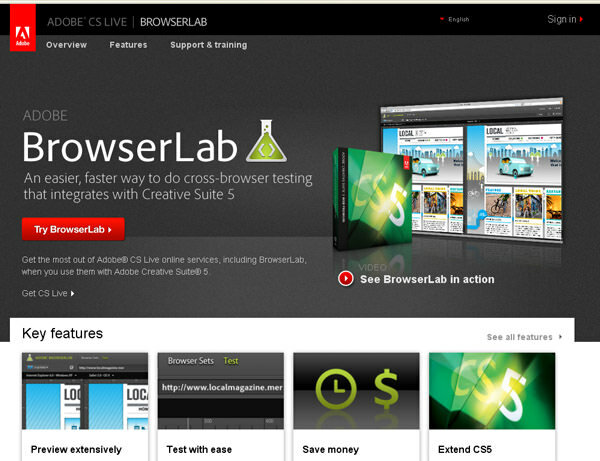 Browsera crawl the pages on your site and actually test them for layout inconsistencies and scripting errors. IE Tab is Firefox addon that enables you to load webpages in Internet Explorer, without having to open another browser window. Just click a button on the Firefox toolbar and it will open the current page in a new tab that uses the Internet Explorer engine instead of Firefox. IECapt is a small command-line utility to capture Internet Explorer’s rendering of a web page into a BMP, JPEG or PNG image file. Multi-Safari is a free browser compatibility testing tool that allows you to check the rendering of your web site using different versions of Safari. Multi-Safari does not allow screen resolution testing. 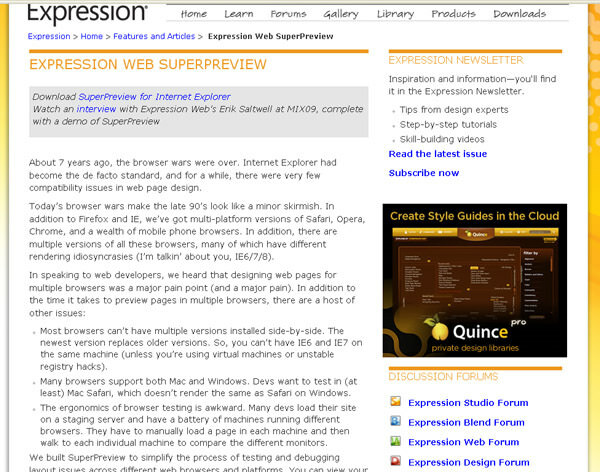 Expression Web SuperPreview is free tool that help users to test their websites on different versions of Internet explorer. Expression Web SuperPreview is a stand-alone visual debugging tool that makes it easier to migrate your sites from IE6 to IE7 or 8.
iPhoney gives you a pixel-accurate web browsing environment, that you can use when developing web sites for iPhone. It’s the perfect 320 by 480-pixel canvas for your iPhone development. iPhoney is not an iPhone simulator but instead is designed for web developers who want to create 320 by 480 websites for use with iPhone. 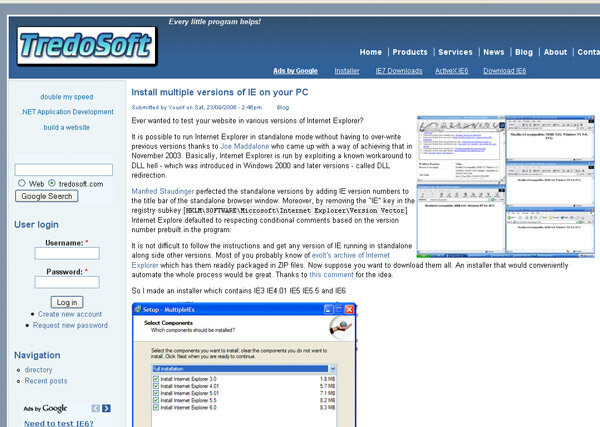 With MultipleIEs you can test your webpage in Internet Explorer 3, 4, 5 and 6. These are old browsers, but if you can that your website will be available for all browsers, check also for oldest IE versions with MultipleIEs. 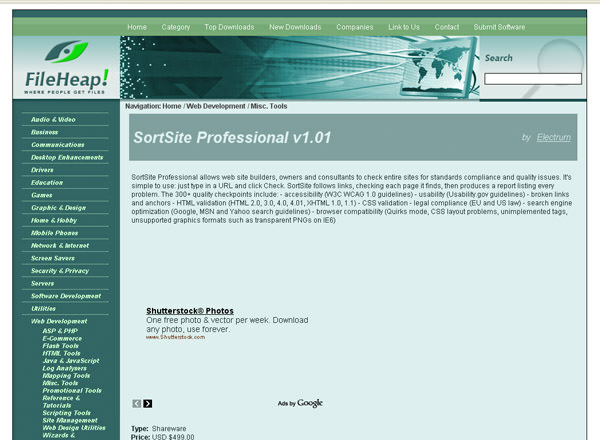 SortSite Professional allows web site builders, owners and consultants to check entire sites for standards compliance and quality issues. SortSite check each page it finds, then produces a report listing every problem. SortSite check more than 300 quality checkpoints. 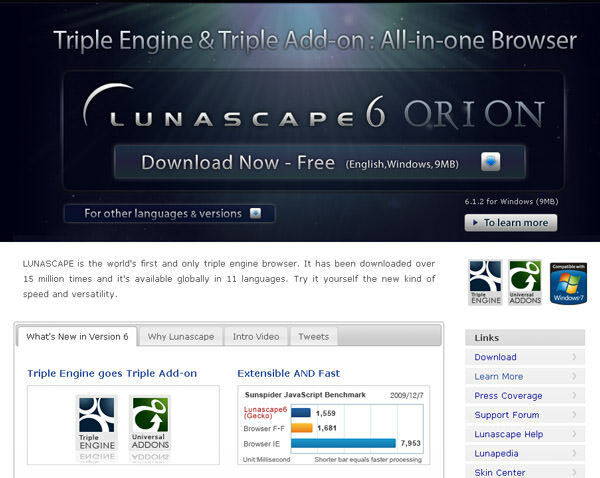 Lunascape is the world’s first and only triple engine browser. In are included main browsers: IE, Firefox, Chrome, Safari. With Lunascape, you can choose the right engine to use at the right time, realizing a dramatic decrease in web-browser compatibility issues, long loading times, and improper display of websites. 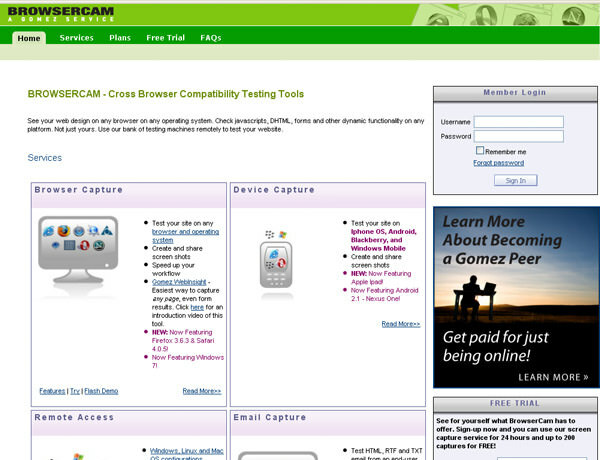 BrowserCam is a paid online service that allows you to view your web pages across different platforms and browsers, either by automatically taking the screenshots of your choice or by accessing computers remotely. With the site, you’ll be able to test your website (or anyone else’s for that matter), on any operating system and browser. This should save you a lot of time when you’re trying to get things done. Subscriptions cost start from $19.95. Using Url2image web server farm, and as a logged-in user, you are able to request screenshots of your web page design, using various browser / OS combination. 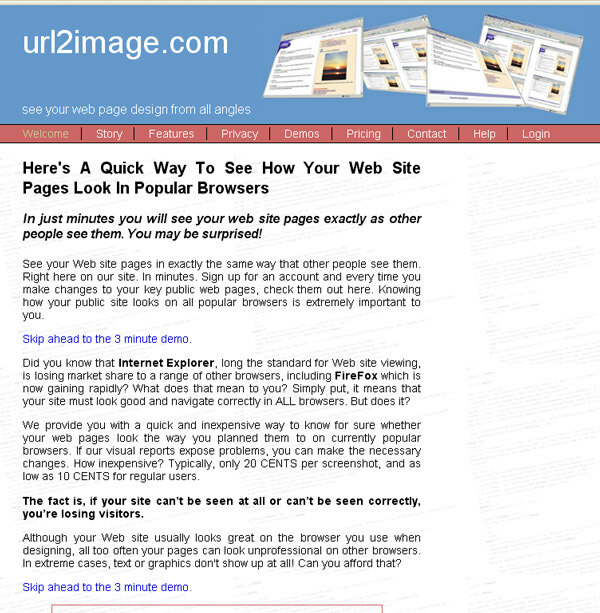 Url2image offer prize for screenshots. 2 screenshots cost $1. 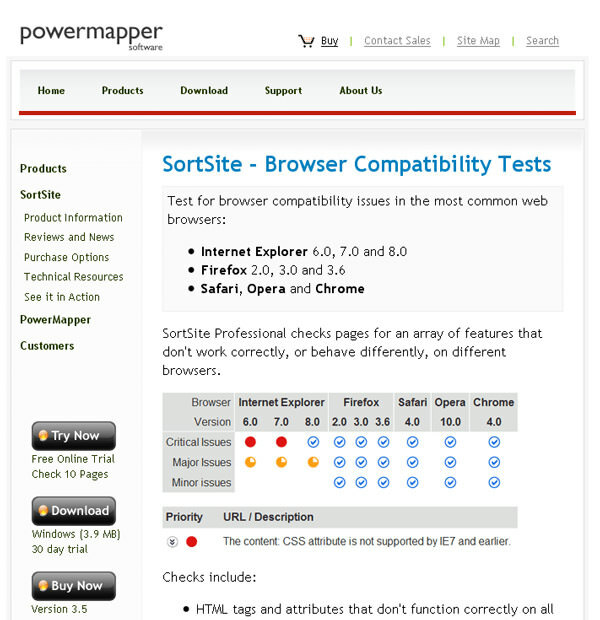 SortSite Professional checks pages for an array of features that don’t work correctly, or behave differently, on different browsers. Standard license prize is $149. 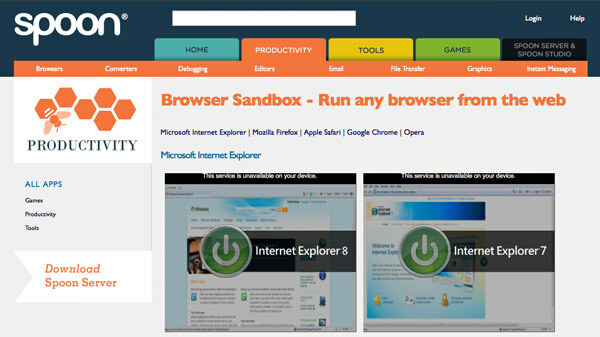 Multi Browser Viewer includes 17 pre-packaged, virtualized standalone browsers. 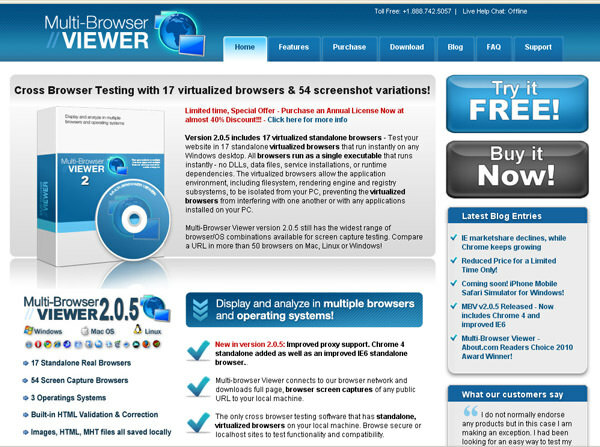 Aside from 17 standalone browsers, Multi-Browser Viewer also has the ability to test your site in 50 browsers across three operating systems (Mac, Windows and Linux). Single user license prize is $99.95. 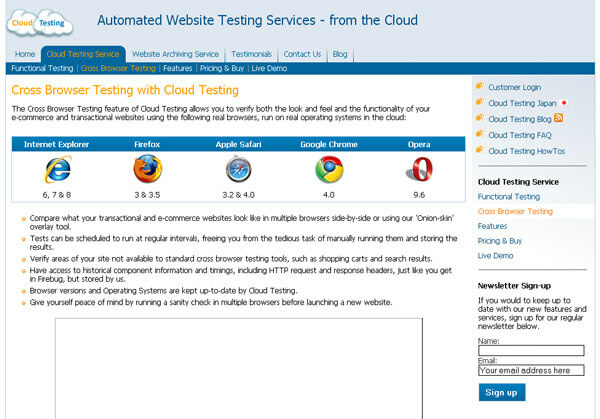 The Cross Browser Testing feature of Cloud Testing allows you to verify both the look and feel and the functionality of your e-commerce and transactional websites using IE 6,7,8, Firefox, Apple Safari, Google Chrome and Opera browsers. Price per one test is ÃÂÃÂ£0.10.